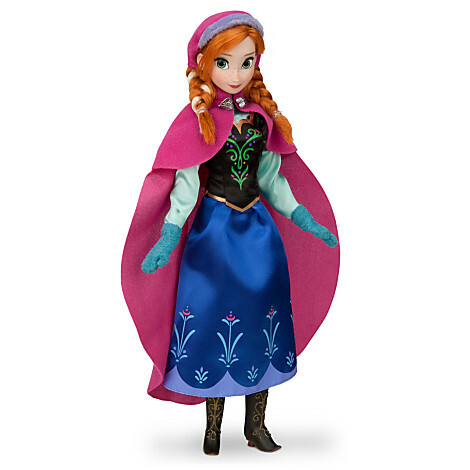 Disney Stores, bookstores and other stores are already filled with it: Frozen merchandise! There is so much to choose from, unfortunately most of us don’t have enough money to buy all the merchandise here is a list of the 10 must-have Frozen merchandise you should buy. Why? 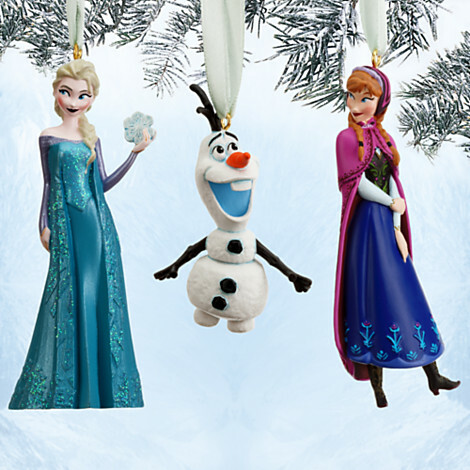 With Christmas is just around the corner, how awesome is it if you decorate your Christmas tree with Frozen figurines? The characters perfectly fit the holiday feel and they are just so beautifully detailed. This set comes with Elsa, Anna and Olaf. Why? Can you imagine anything better way waking up and sipping your favorite hot beverage from a Frozen mugs? These sturdy-looking, beautiful mugs from the Disney Store contain art by the amazing Brittney Lee. Why? The Frozen Essential Guide is a book that’s fun to have after you’ve seen the movie. It contains beautiful movie stills and a lot of informational facts about the characters. Our review on this book is also coming soon to the site soon. Why? 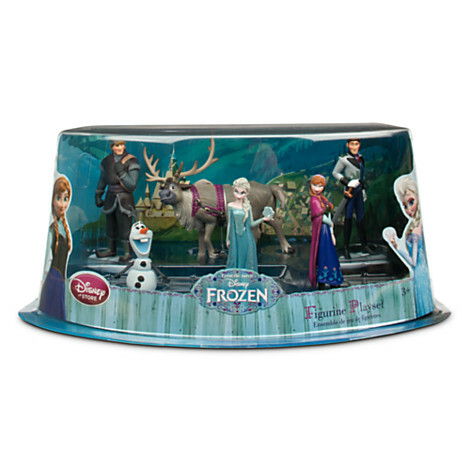 This Frozen figurine playset contains mini plastic figures of the six main characters in Frozen. These play sets have proven very successful for Disney, as there is one available for nearly every princess film. They’re fun to play with as kid (and adult), but they’re also perfect to decorate your boring office or home. Also, the $13 price point makes it a great gift for a young son, daughter, niece, nephew, or friend! Why? Disney already released these four Frozen classic dolls: Anna, Elsa, Kristoff and Hans. All of them are beautifully detailed and the look exactly like the characters in the movie. These dolls are fun to play with but they are also great to collect. Why? This very well written book, illustrated by the amazing Disney artist Brittney Lee, is fun to read for every age. 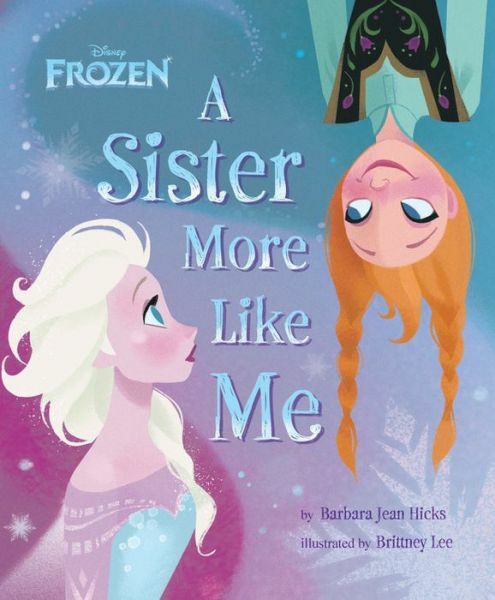 It’s not the story of Frozen, but a new story with the characters Anna and Elsa. I love the illustration style that was used in this book, so if you are a fan of Brittney, you have to own this book! Why? Who doesn’t love this cute reindeer? 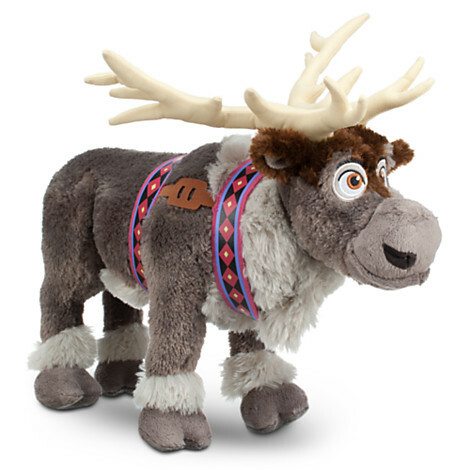 And now you can have your own Sven. I know it’s a plush version but he’s still very cute and you can cuddle him! Why? The Frozen soundtrack is something every Disney fan should own because it not only contains the film’s awe-inspiring songs written by Kristen Anderson-Lopez and Robert Lopez, but also the score composed by Christophe Beck. 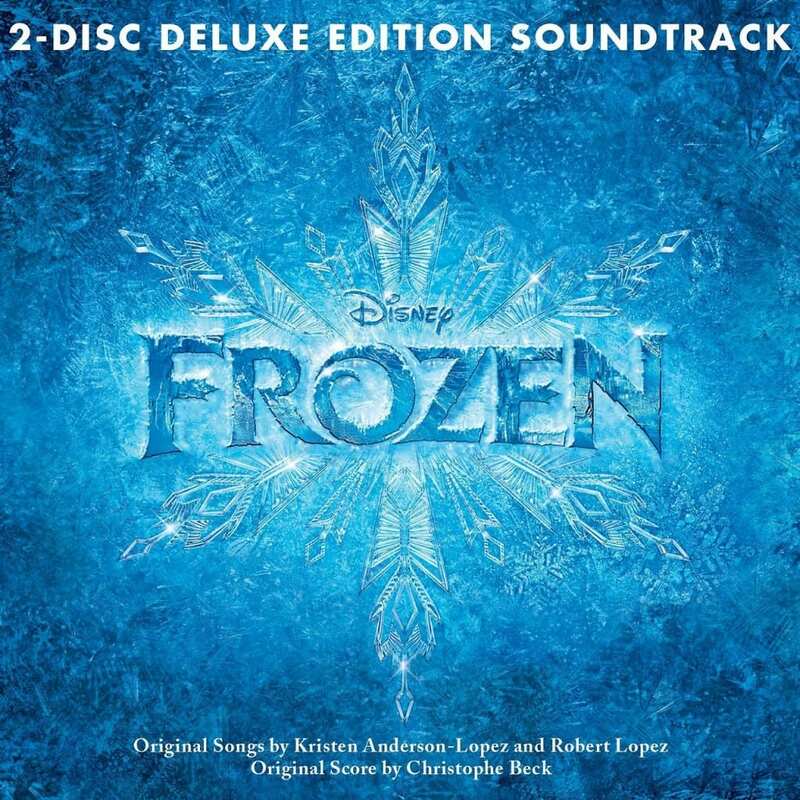 The Deluxe edition also contains demos, outtakes and karaoke versions of the songs, so if you are a Frozen fan you should pre-order the Deluxe edition right away. Why? 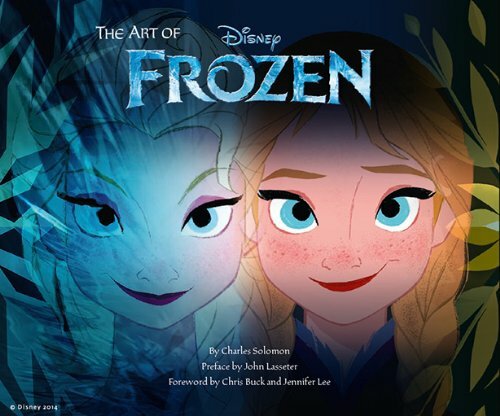 The Art of Frozen is an art book filled with beautiful concept art created during production of Frozen. This book will go into detail the development of the film and will explore the film’s creation from start to finish from deleted scenes and characters, character design, set design, to lighting and final rendering. Much of the concept art for this film was created by some of the best artists in the animation industry like Brittney Lee, Jin Kim and Lisa Keene. 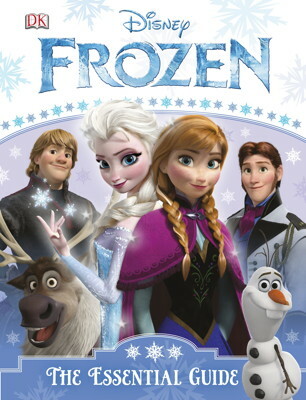 This book is a must-have for an animation and Frozen fan. Why? 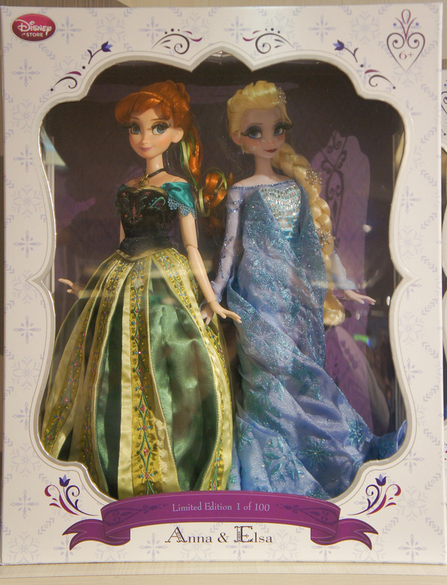 These gorgeous Anna and Elsa dolls are very exclusive and rare. You can buy them as a sister set or purchase the dolls individually. They are exquisite, detailed and definitely not meant for playtime. They are collector items: only 100 of the Anna and Elsa set and only 2500 of the individual Anna/Elsa dolls were made. There you have it. 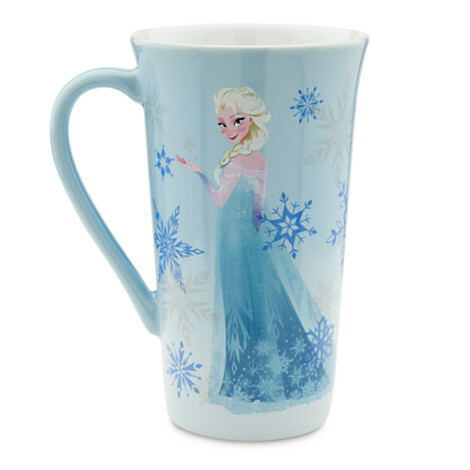 The top 10 with the best Frozen merchandise you should definitely own. The good think is that most of the merchandise is already available, so you can buy them right now on Amazon or at your local Disney Store. Which Frozen merchandise you already own and which Frozen merchandise you would like to buy? What merchandise do you want to buy that didn’t make this list?